Immigration: What is BakerRipley doing? BakerRipley is working with partners to identify and assist separated parents as they are gradually identified in Houston detention centers. Our immigration team remains focused on helping families that have been separated by the administrations “zero tolerance’ policy. BakerRipley attorneys continue to work with our partners to identify and assist separated parents as they are gradually identified in our detention centers. We are currently representing a detained parent in his removal proceedings, and are demanding his release in order to be reunited with this daughter. Going forward, we will be focusing on serving the thousands of immigrants who are detained in the Houston detention centers who are fighting to remain in the United States. What is BakerRipley currently doing to help the families who have been separated by the administration’s “zero tolerance” policy? BakerRipley has been working with local and state-wide partners to identify parents in Houston immigrant detention centers who were separated from their children – we want to make sure that each one has free legal representation with BakerRipley or a partner organization. In addition to helping parents communicate with their children, our team helps detained individuals and families understand their rights in light of the Zero Tolerance policy, subsequent executive order and federal judge order. What additional scope of work has the program recently undertaken? BakerRipley has always been committed to providing immigration legal services to community members. The Immigration & Citizenship Program’s new Deportation Defense Project will provide free direct representation to detained immigrants in Houston’s three adult immigrant detention centers. 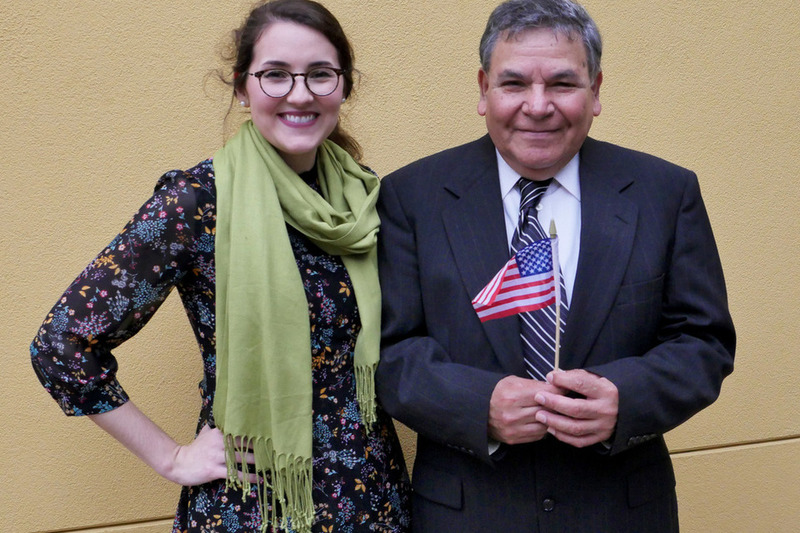 This project is part of a Houston-wide partnership called Deportation Defense Houston (“DDH”) which will take a collaborative, holistic approach to meeting the needs of the immigrant community. In addition to responding to the needs of the community members we already serve, the project will work with the Houston Immigration Services Collaborative (“HILSC”) Immigrant Rights Hotline to receive referrals for detained community members. BakerRipley believes that we all have a HUMAN connection to one another and we cannot sit back and watch families being separated. We must continue advocating for our neighbors and taking action to keep welcome alive and families together. With an increase in interior immigration enforcement and the passage of SB4, the local community became concerned about what would happen if their neighbors and families were apprehended by immigration authorities and placed into detention. Detained immigrants facing deportation proceedings are very vulnerable. Cases move quickly through the courts and detained immigrants are not entitled to a free attorney to help them fight their deportation. Prior to this project, Houston had very little capacity for pro bono (“free”) representation of detained immigrants. This project is in response to the community’s needs and concerns, and will seek to increase pro bono representation of detained immigrant community members, and thus keep more Houston families together. Are we helping detained children? Catholic Charities Cabrini Center currently has a federal contract to help detained immigrant children in Houston area ORR (Office of Refugee Resettlement) shelters. The current scope of the Deportation Defense Houston project will not include representation of detained children. However, we work closely with Catholic Charities and other partners to take referrals for children’s cases where current funding does not meet the needs of the community. We currently have the ability to accept a limited number of children’s cases through our normal immigration office activities.